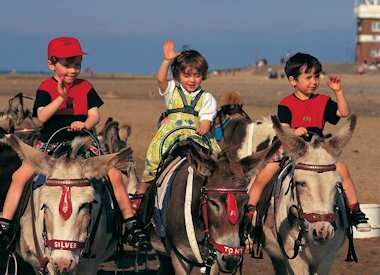 Rhyl the Family Fun Centre of North Wales and now so easy to reach by road or rail. A fresh new look railway station and Bus Terminus, at the heart of Rhyl's Promenade, awaits your arrival. 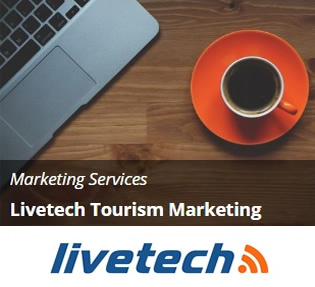 Manchester and Liverpool Airports are both only a short distance away whilst the super ferries from Ireland connect with Holyhead with direct rail links to the resorts. Travel the A55 expressway with direct links to the M56 - M6 motorway network and you could be here within a few hours of leaving home. Its that easy to get here. 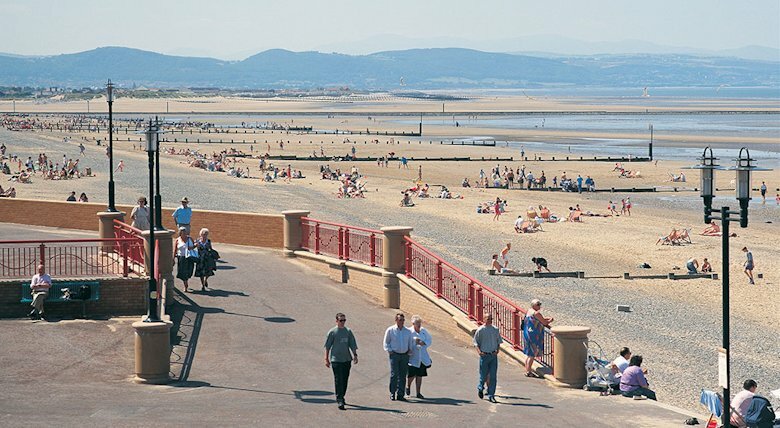 Six miles of golden sands stretch between the resorts of Rhyl and Prestatyn where children have the freedom to build sandcastles, play ball or take a donkeyride whilst lifeguards, using the most modern equipment, patrol the shoreline to safeguard the families at play. 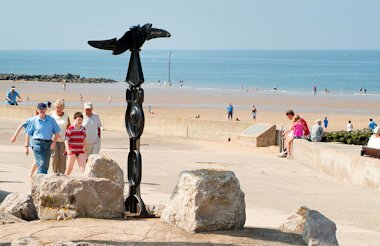 For those who enjoy the sea, take a trip into the bay or book for sea fishing at Rhyl's Harbour. The Lifeboat Station is open daily and has interesting displays and knowledgeable staff to give an insight into the work of the Royal National Lifeboat Institute. Fun filled days of what to do next.... Ride the Rhyl Promenade Land Train from Rhyl Suncentre. The Crown Green Bowling Centre, Events Arena with it's elevated promenade and "Fun maze" and the centre for many outside events, Sea-Life Centre, Rhyl's Children's Village with carousel rides, Vintage Car ride, Cadwalders Ice Cream Parlour, Fatty Arbuckles American Diner, Pizza Co Family Restaurant, Apollo Five Multiplex Cinema, the 80 metre high Skytower, following on to paddling pool, boating pool and miniature golf. Prestatyn's Ffrith Beach Festival Gardens is planned that this will become a major tourist attraction for the future which should include boats, go karts, miniature railway, catering and other family attractions set in landscaped gardens with ample coach and car parking areas. Whatever your taste in holiday enjoyment Rhyl and Prestatyn offer many recreation facilities. Three Sports Centres, indoor bowls at North Wales Bowls Centre Prestatyn, outdoor Crown Green Bowls Tournaments in Rhyl and four Golf Courses set in stunning Wales countryside. 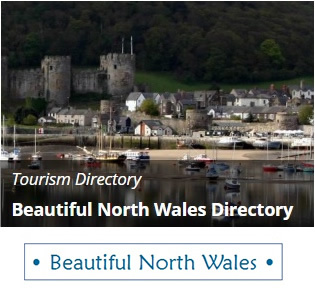 Tennis courts, windsurfing, sailing, cricket, swimming, squash, lake fishing at Bodelwyddan, sea fishing at Rhyl, gliding at nearby Rhuallt or cycle one of the many routes around the resort area. For walkers there are many coast and country trails and the start of the famous Offa's Dyke Path which runs from Prestatyn in the north to Chepstow in South Wales.